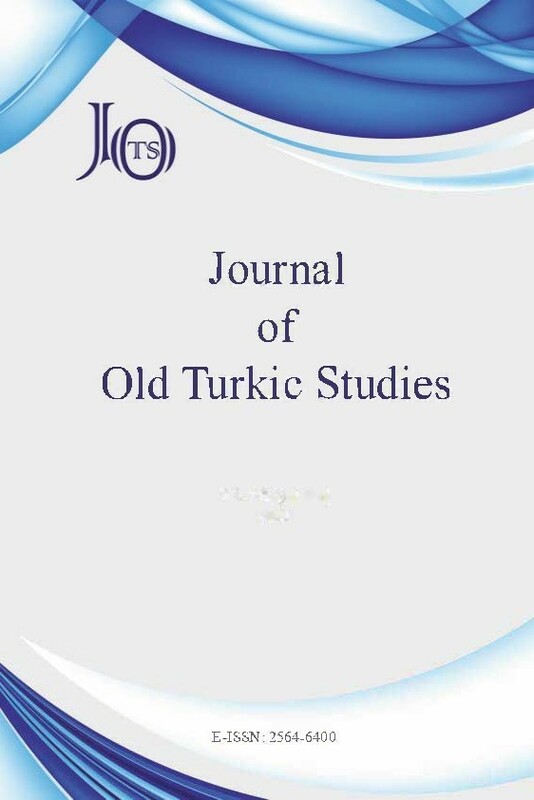 Journal of Old Turkic Studies is a refereed international journal which provides an interdisciplinary scholarly platform for original papers in the field of Medieval Turkic philology, history, culture and literature. The JOTS publishes original papers, short communications, reviews and annunciations. The JOTS accept only manuscripts written in Turkish, German, English or French. Manuscripts written in other languages will not be accepted. The first and the most important criteria for the selection of papers for publication is originality and scholarly standing. The JOTS is published twice per year in January/February (winter) and July/August (summer). The Editorial Board may also decide for special issues. The JOTS is a completely free and open-access journal published online. Authors are responsible about article’s content and its consequences. ÖZERTURAL, Z. & G. ŞİLFELER (Hrsg.). Der östliche Manichäismus im Spiegel seiner Buch- und Schriftkultur, Vorträge des Göttinger Symposiums vom 11./12. März 2015, de Gruyter Akademie Forschung, Berlin-Boston, 2018. This journal can be accessed electronically via DergiPark (www.dergipark.gov.tr/jots).